Gloucester City Box Works provides industrial packaging solutions. We manufacture wood boxes, pallets, crates as well as providing commercial packing, export packing and on/off site crating services. We are a WBENC certified Woman-Owned business serving customers in the Greater Philadelphia-Southern New Jersey area and throughout the world. We provide a full range of products and services to companies seeking to ship valuable products safely. Gloucester City Box Works is IPPC/ISPM 15 certified for international shipment of wood products. 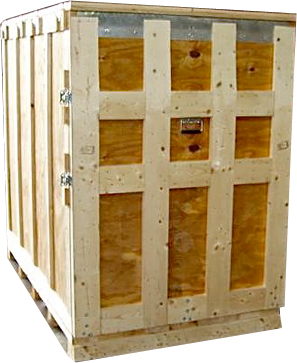 Whether your product is going to New York or China, we can provide the proper shipping container for large or small orders. Our experienced sales force will work with you to come up with the best protection for your product. We are accomplished in designing wood and corrugated boxes. Provide us with a product or a print and our team will work with you from start to shipment to come up with the best packaging system for your product. Copyright 2011 Gloucester City Box Works. All Rights Reserved.